I am back on senseis! I am a teacher from Germany. As a chessplayer, I used to be good at calculating long sequences, but while improving my strategy, I lost that skill. I had posted statements here, trying to define my style, but I am not sure if I was successful, so I removed them again. I probably reached german 2 Dan strenth in over the board games. I play as 3 Dan at the Dragon Go under the name "Hoshi" and as a KGS 2 Dan under the name KlausP. Talking about strength, I noticed, that many players tend to "know" how strong they are. In my humble opinion, this limits their further developement. For example: If I am sure, that I am a 2 kyu strong I believe, that I play like a 2 kyu. 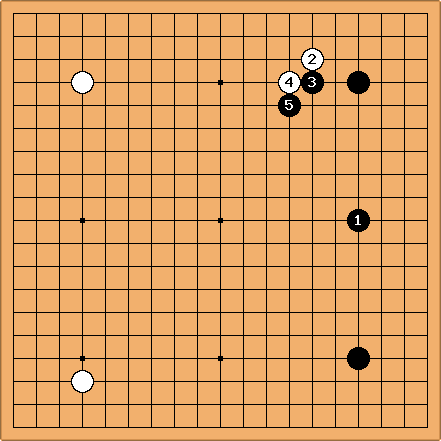 This sounds silly, but its is remarkable, because I certainly do not play like a 2 kyu! I might attack like a 5 kyu and play fuseki like a 2 Dan (unless i got to attack, in which case I switch back to 5 kyu). I might have a different strength in chuban and yose. So, there is a lot to be gained from assuming, that I am much stronger than any rating I got, AND at the same time, that I am much weaker than I believe. For that reason, I prefer to stay flexible in my rating. Might be interesting to have such a list! Phelan: Please see the discussion at the PeopleOnSenseisdiscussion page. Interesting, I might have a closer look at Ted then!